Do I Really Need to Know God’s Will For my Life? 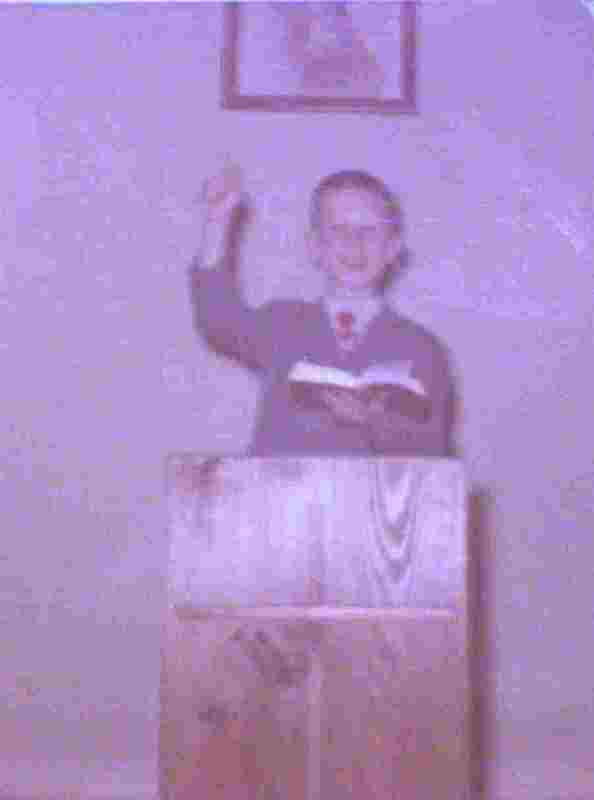 Me preaching at age 5 from a pulpit my father built me when I told him I was going to be a preacher. While many people ask why God does not show them His will for their lives I have come to a simple conclusion. He does not need to. When I was 4 years old, I remember sitting in church, knowing, not wishing or hoping,knowing I would be preaching the gospel one day. However, as I became older it was unclear to me if that preaching would be as a full time career or volunteer. After one year of college I was not sure if I was really “suppose” to be a full time preacher or gospel worker. I mean I knew I loved Jesus and wanted to share his love with others, but doesn’t every Christian do that? How do I know if I had been called? My life was in a fog. I started working for a business forms company, and I started dating a young lady who attended a small Adventist Church outside of Tulsa, where I lived. I left the larger church in Tulsa to be with her. Things did not work out between us like I dreamed, and she moved away. Something told me to stay at the small church instead of going back to the larger church. I have to admit I did not know why I was doing what I was doing. I was in a fog. Not long after that, two literature evangelists joined that small church, and invited me to join them. I left the business forms company and became a literature evangelist. Soon afterwards, a new pastor came to our church and asked me to be his Bible Worker. Soon after, he moved to Texas and hired me down there. Several times I thought about finishing college but the time just never seemed right. After I had been a Bible Worker for a few years in Texas, a friend got me hired on at UPS for some extra income, and so that I would have health benefits for my fiancée and me. Well, once again things did not work out between me and my love, and she politely broke up with me. The next morning when my 2AM alarm went off to go to UPS, my first thought was, why go in? The person I got the job for has left me. For some reason, as much as getting up at 2AM was unappealing, I did it anyway. (Never mind the fact that I also had a broken heart that morning and severe depression.) I was in a fog and had no idea why I was still working at UPS. I had no idea, but God did. A few weeks later, the church I was a Bible Worker for had to let me go due to lack of funds and other financial obligations. UPS became my only job! After working my way to supervisor at UPS, my sister sent me a notice of a church in Tampa Florida needing a Bible Worker. 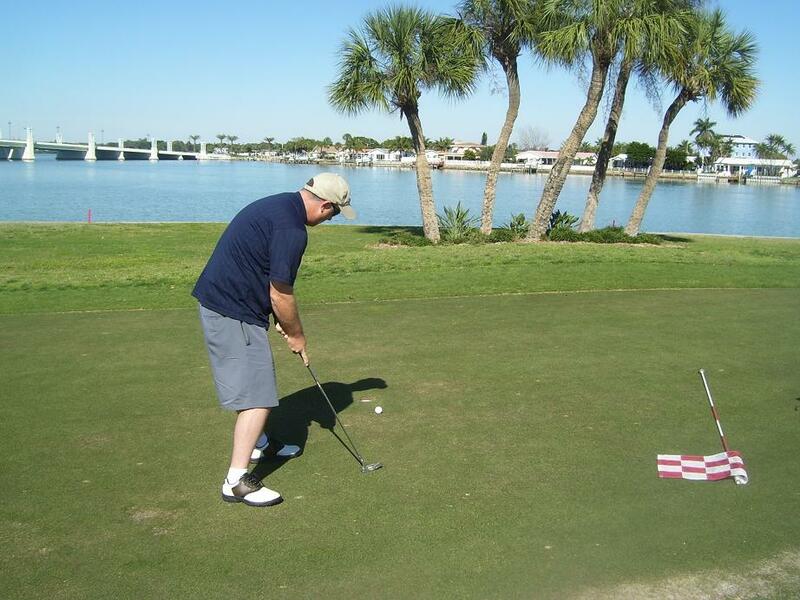 I had no interest in moving to Florida. I had sunk my roots in Texas. 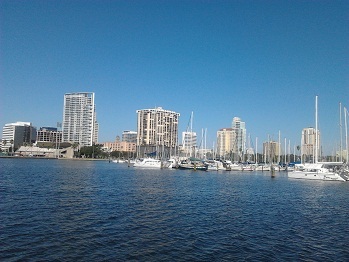 However, one night I e-mailed my resume to Tampa, just to hush my family who kept asking me about it. I knew by now they had already filled the position. To make a long story short, I got a call from Tampa the next morning, and less than two months later I was a full time Bible Worker in Tampa. While many people talk of glory days gone by, I must say my current years have been the best years of my life. As I look back I see God has brought me to where He wants me to be without me even knowing what His plan was. God did not tell me why I was staying at that small church after my girlfriend left me, but He knew. He never told me, “stay” but looking back I know now it was His plan. The morning after my fiancée broke up with me, I did not see any reason to go to my second job at UPS at 2AM anymore. I only got the job so she would have benefits. Looking back, I know now, God had me get that job because He knew my Bible Worker job was coming to an end. He never told me that. He didn’t need to. He had it all under control, without me knowing what the plan was, while my head and heart were still in a fog. Now some people have taken a much easier and shorter route to get to where they are today. They just went to college and straight to their lifetime career. Do I regret taking the longer road? Not at all! Sometimes the shorter, easier route is not the best way to go. Does it sometimes seem like you took the long road to get to a goal in your life? Before you blame yourself for your mistakes, consider, it may have been the exact road God wanted you to take. Do you feel like your head is in a fog now? Do you feel like you have no direction? I say, as long as you do justly, love mercy, and walk humbly with your God, don’t worry about it. You may be exactly where God wants you to be. God can make it all work out without telling us at all what is going on. I knew at an early age I would be a preacher one day, but did not know exactly how it would all work out, or that I would be preaching and sharing the gospel as a full time paid Bible Worker, with the title “lay pastor” tagged on. I also never knew, while sitting in the church pew, at 4 years old, in the 1960′s, that sharing the gospel would also include writing articles for a Sabbath School Blog on something called the Internet! Its not exactly how I pictured it while I sat in church as a little boy thinking about it. But God worked it all out on His own. And while it is not exactly how I imagined it would be, it is exceedingly more wonderful than I ever dreamed it could be! While my head was in a fog, God led the way. I did not need to know if God wanted me to be a full time paid gospel worker or just a faithful Christian in the secular workforce. All I needed, was to do justly, love mercy, and walk humbly with my God. And that my friend, you can do in any line of work, wherever you are. 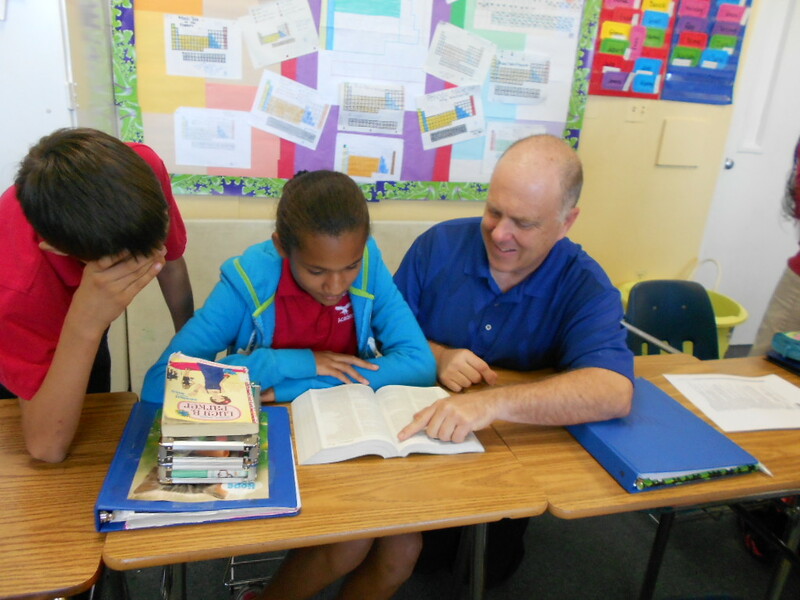 You can study this week’s SS lesson here. 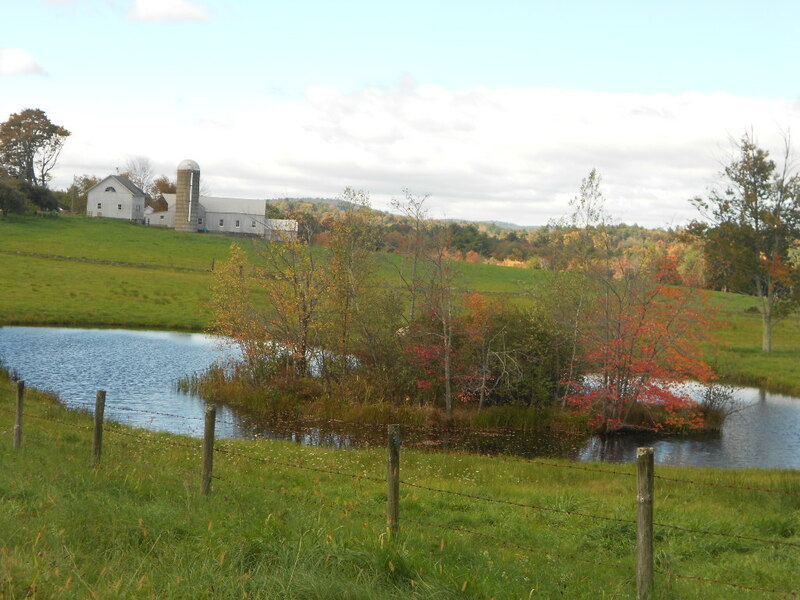 I am writing today from beautiful New England. 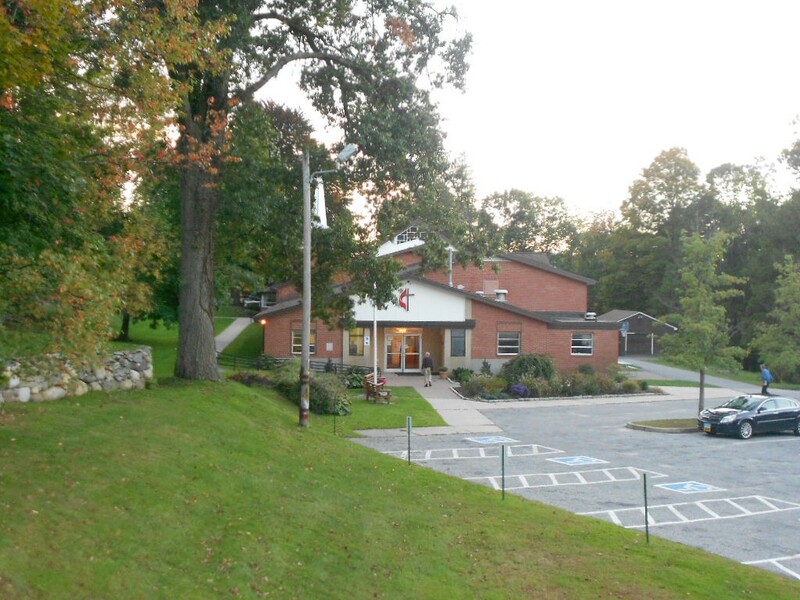 This week I have been preaching and conducting a prophecy seminar at the Torrington Seventh-day Adventist church in Connecticut. Today, before my last meeting I was able to explore some older churches here in the area. Just as the United States is a melting pot of different cultures, so the Seventh-day Adventist church is a melting pot of different churches and denominations, made up of people from all denominations, who, in the mid 1800s came together during a religious awakening, and formed a church, taking Bible truth form each denomination and expelling non Biblical tradition, thus creating a church that goes strictly by the Bible, called the Seventh-day Adventist Church. I have a deep appreciation for each denomination and congregation who has preserved and shared with the world their light on the gospel and the Scriptures. God has always had a people. A people who love Him with all their hearts and want to follow Him. It is because of the light that each church had and shared during the religious awakening that I now have the light that I treasure as a Seventh-day Adventist Christian. Even the Seventh-day Sabbath was not new to the Advent believers, but was shared with us by Rachel Oaks, a Seventh-day Baptist. 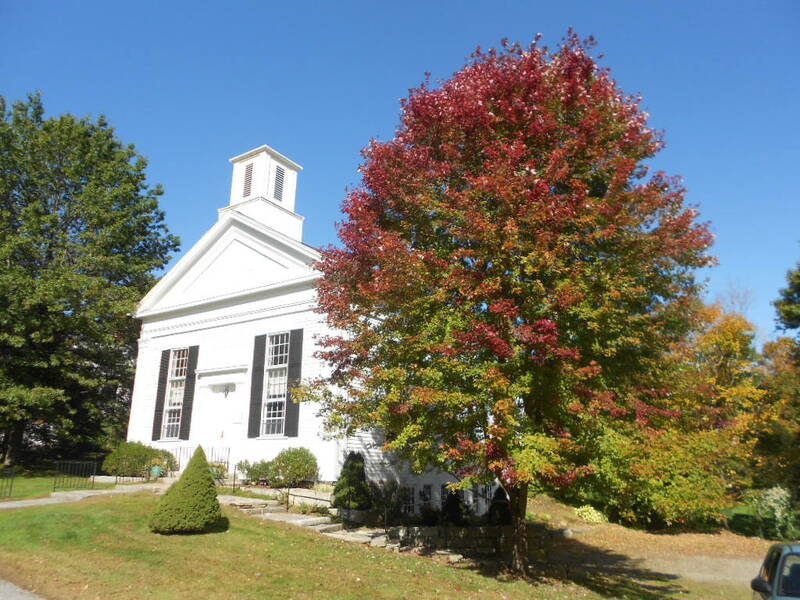 This is a Congregational Church in Milton Connecticut, established in 1829. 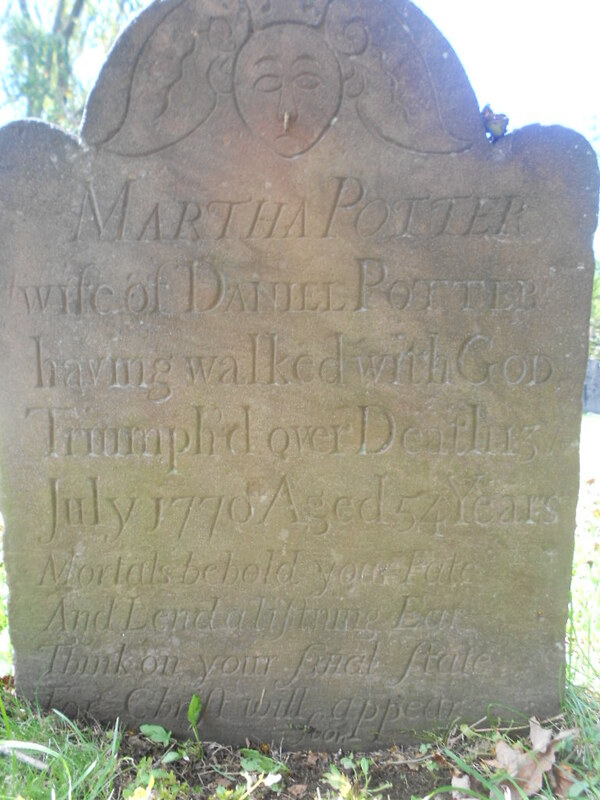 Jane, my friend from Torrington and I drove by this church, and Lauren a neighbor of the church, was walking her dog. 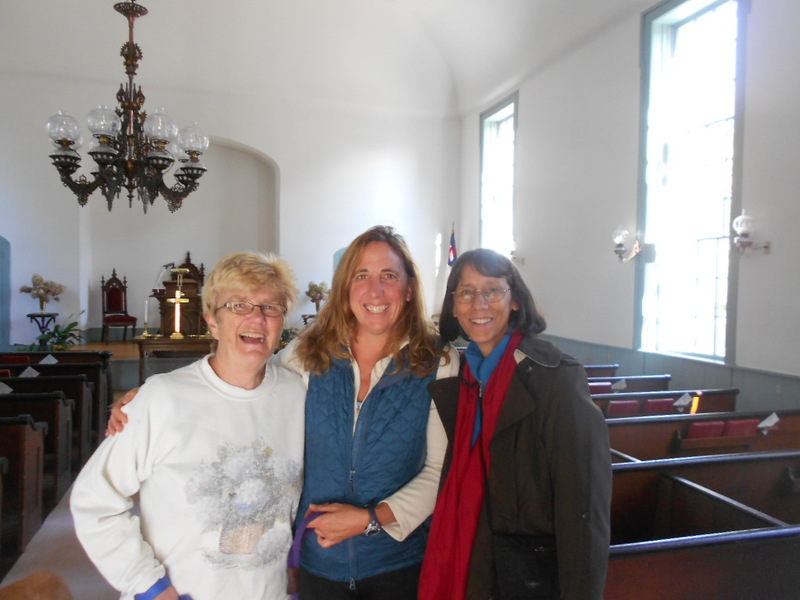 When she saw we wanted pictures she ran and got another neighbor Laura, who unlocked the church so we could go in. Laura also shared the history of the church with us. There was an older church built in the congregation, but during the course of time it was painted yellow. Part of the congregation could not stand the color yellow so they built this church instead of going to a church that was painted yellow. According to Life Sketches, Page 309 and other references, Ellen White and other Seventh-day Adventists commonly used Congregational churches for some of their evangelism meetings. Here is the original organ. Can anyone tell me what kind it is? 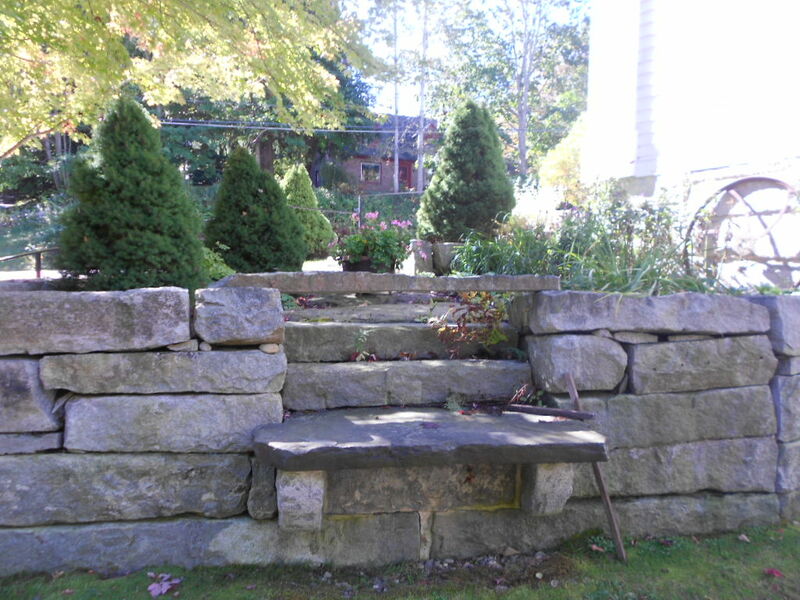 Lauren shared with us, how these steps were to make it easy for people to step off their carriages. A special thanks to Lauren (Left) and Laura (Center) for dropping what they were doing in the middle of their busy morning today, to show me and Jane (Right) their beautiful church. I am so glad that God worked it out so we would meet Lauren walking by the church at the exact time we passed by. 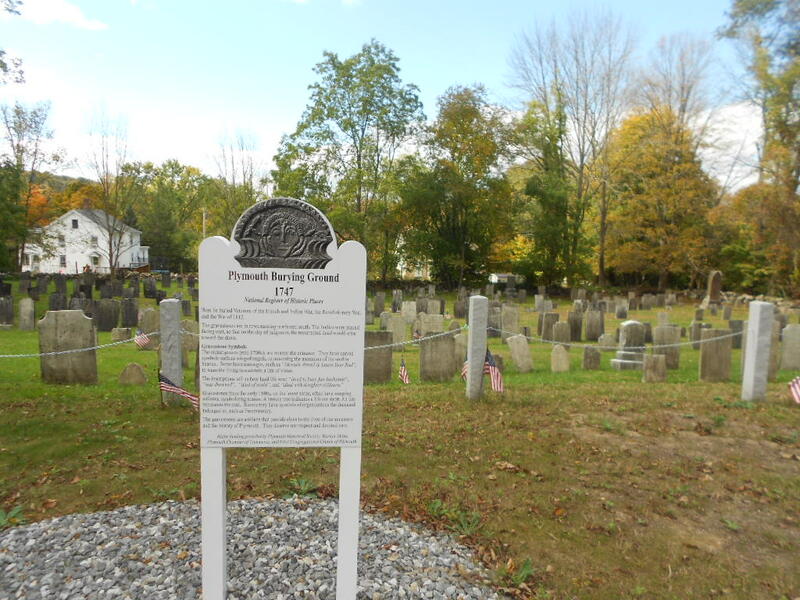 In 1838 this Congregational Church was built in Plymouth Connecticut. This stone is hard to read it is so old. It says, “Beneath this stone lies Deac. 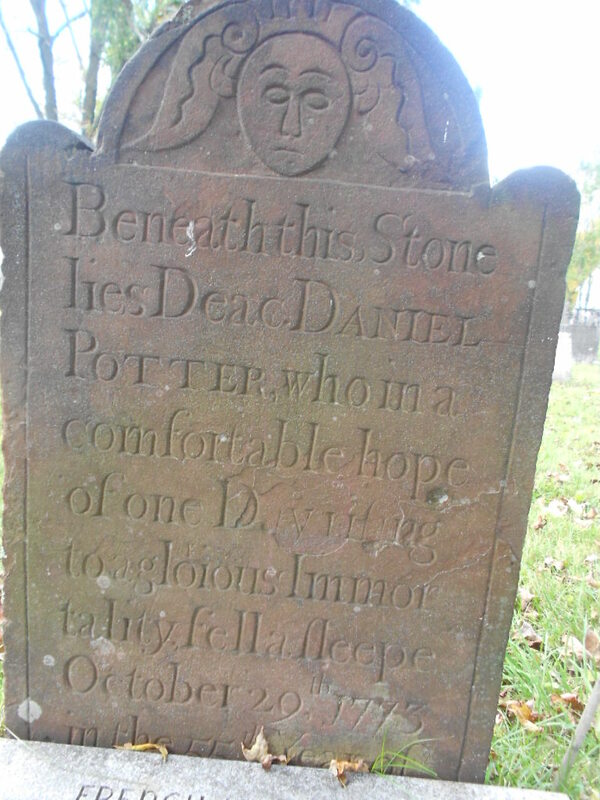 Daniel Potter, who in a comfortable hope of one day rising to a glorious immortality fell asleepe October 29th 1773.” I did not misspell sleep. Apparently in 1773 that is the way it was spelled. 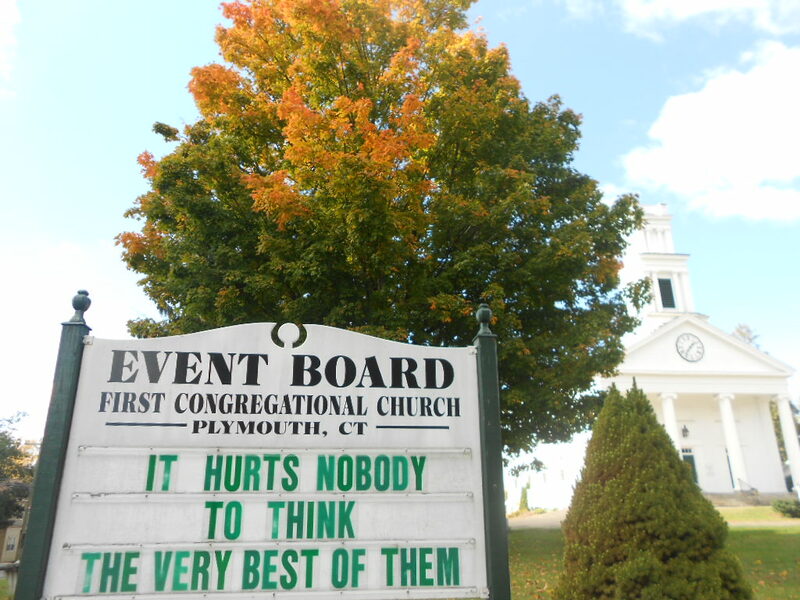 With the understanding this soul had of the state of the dead, I can’t help but wonder if the Congregational Church did not share their understanding of this truth with the believers who helped form the Seventh-day Adventist Church. In front of the church is a memorial for President Lincoln and the members of this church who gave their lives in the civil war. As a Seventh-day Adventist I appreciate the sacrifices made by this Congregational church local congregation in securing freedom for all mankind, and keeping united a country that celebrates religious freedom so we can all worship God in accordance with our own conscience. 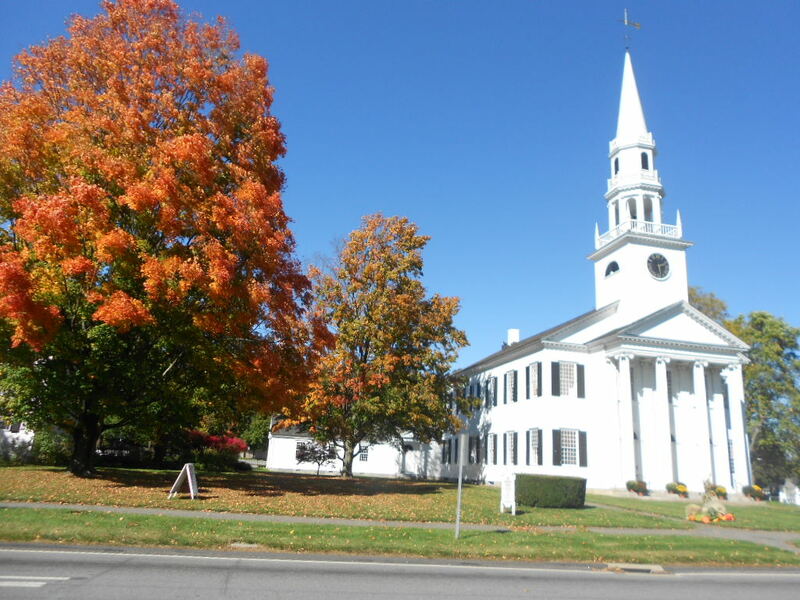 This is the First Congregational Church of Litchfield, Connecticut. 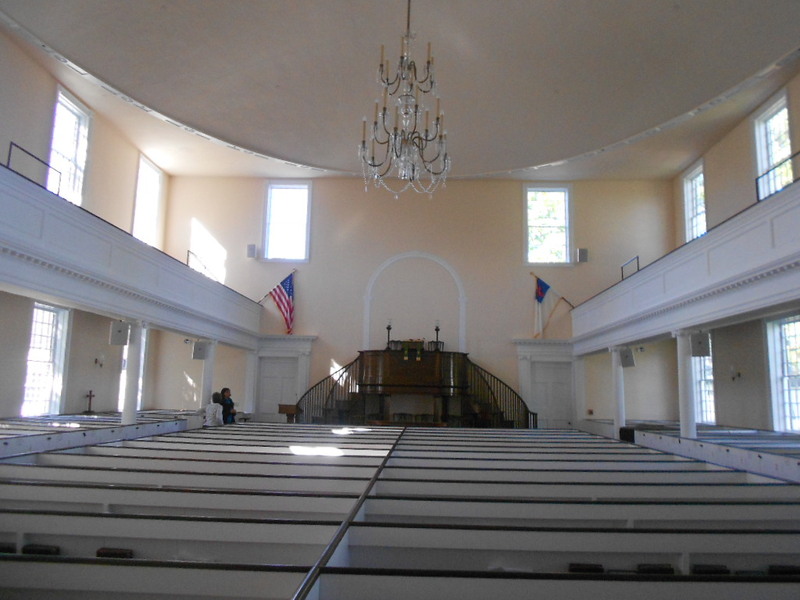 This congregation has been meeting since 1721, but this current church was built in 1829. I took a few pictures of the outside, and then wanted to see the outside. Usually there would be nobody there during the weekdays, but on this particular day they were getting ready for a sale to raise money for missions. A lady getting ready for the sale, opened up the church for me and let me take pictures. She gave me a lot of history of the church. This is the fourth church this local congregation has met in. She was so nice, I gladly gave her a donation for her sale. 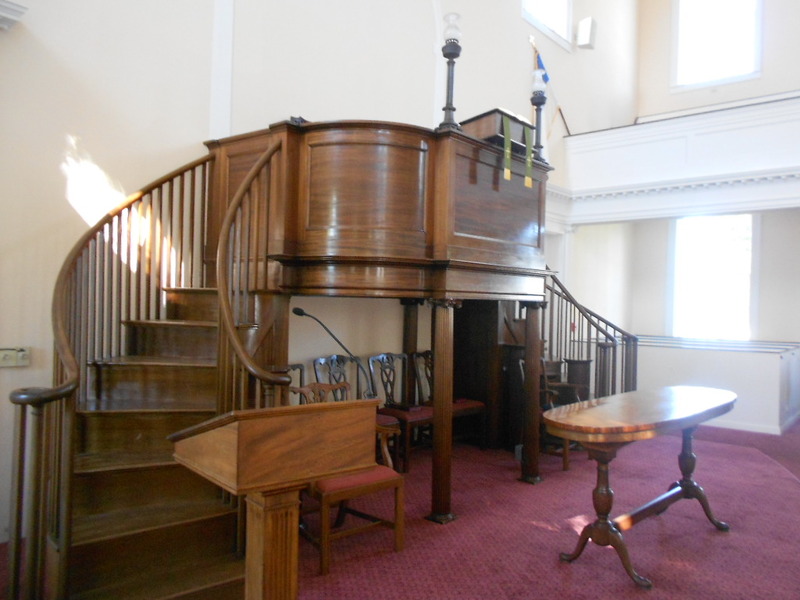 Check out this pulpit with a staircase! 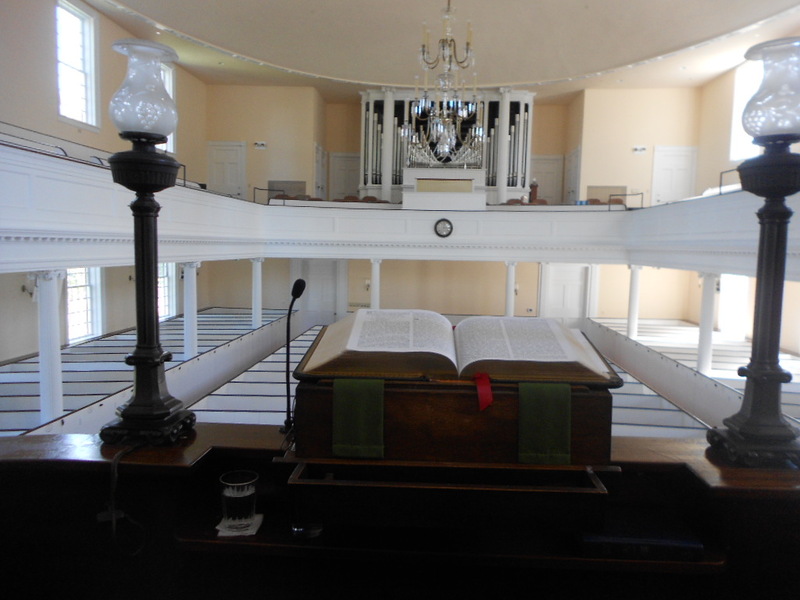 This pulpit, built in 1829 is a strikingly faithful reproduction, based on recollections and certain parts still in existence of the pulpit built in the 1700s. This is the view from the pulpit. Check out the pipe organ. 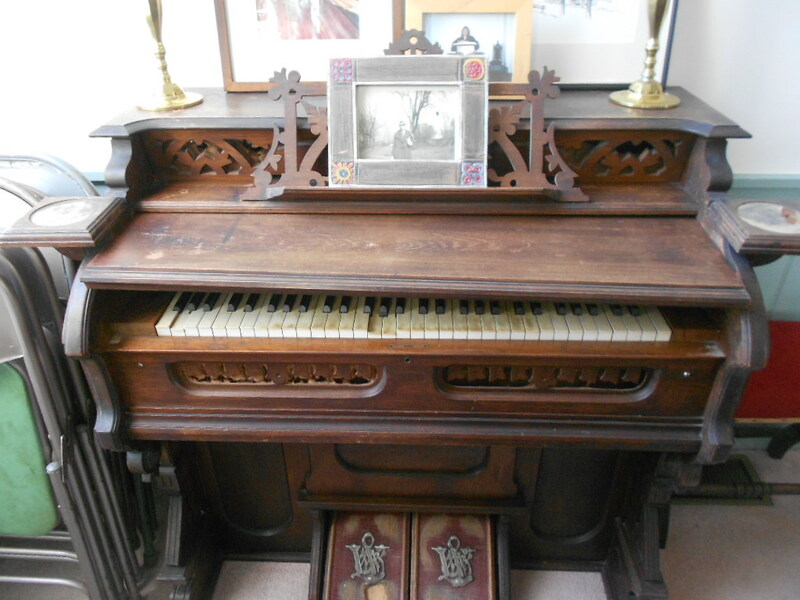 It’s a 21 rank, two manual reuter organ. Installed in 1971, it replaced an electrified augmented tracker pump organ salvaged from the previous church. 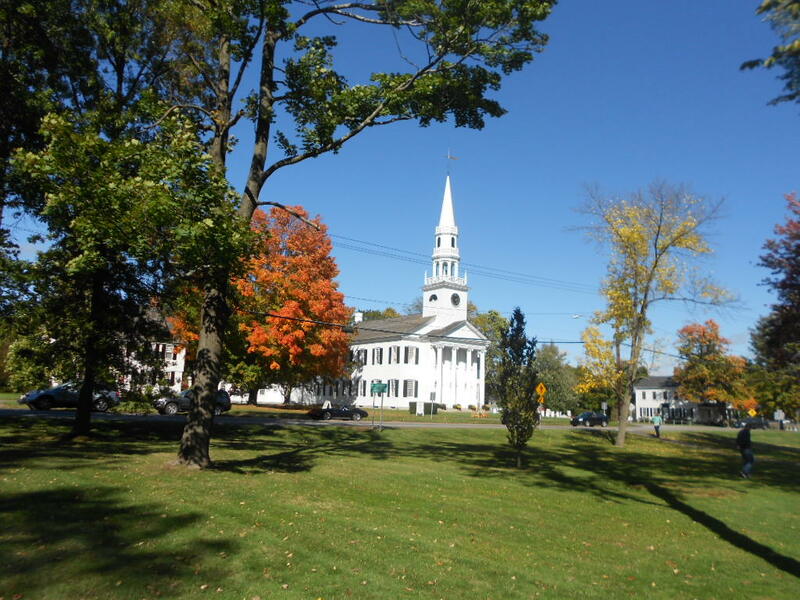 The Litchfield Congregational church has been faithfully served by 26 different distinguished and dedicated pastors since 1721. Two of these pastors also served on the battlefield. 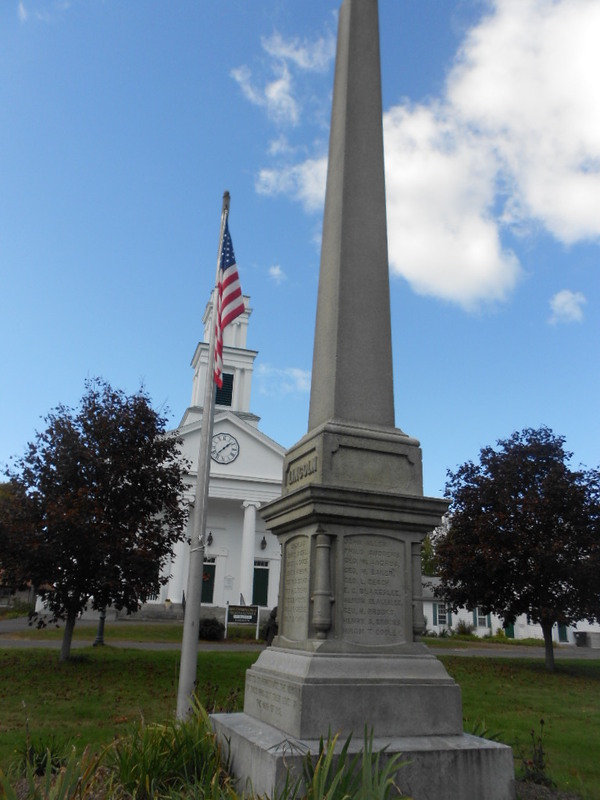 Timothy Collins was a surgeon during the French and Indian war. George Richards was a chaplain during the civil war. Judah Champion was the longest serving pastor for 55 years, until he retired at age 79. It was an honor and privilege to be able to visit these churches, where the gospel has been preached to and hope given to many a sin weary soul for centuries. While the churches are beautiful and magnificent, it is the members of the congregations who receive my deepest respect and appreciation, for keeping the doors of these churches open, so people can hear the good news of God’s love. I also thank God that at one of the churches somebody just happened to be walking by who knew someone who could unlock the doors and let me in. I thank God that at the other church, a kind lady just happened to be there getting ready for a sale, and was kind enough to take a break and show us around. I also appreciate the Torrington First Methodist Church, for allowing the Torrington Seventh-day Adventist Church to worship and hold evangelistic meetings in their church. 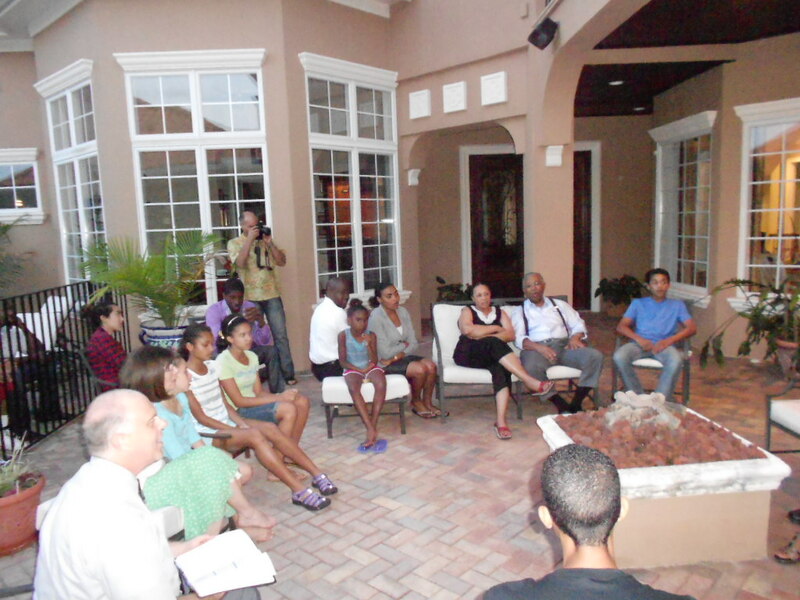 This is where we held the Daniel prophecy seminar I was here for this week. The original section of this church was built in 1865. I also want to thank the members of the Torrington Seventh-day Adventist Church for hosting me this week and making me a part of their wonderful family. 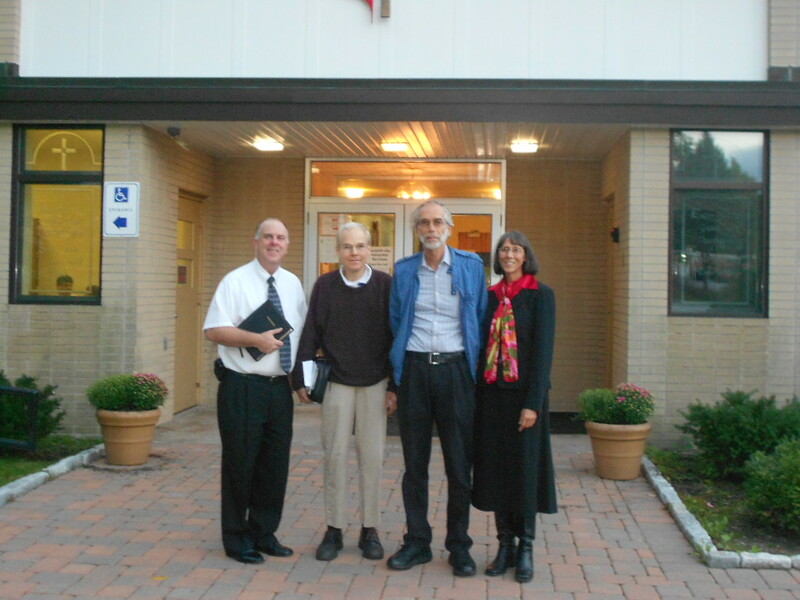 Bruce (second from left), Larry and Jane helped set up each night before the meetings. Larry and Jane also had me to their home during the meetings. Jane has been studying for a while, with several of the people who came to the seminar, and will continue to prepare them for baptism later this month. 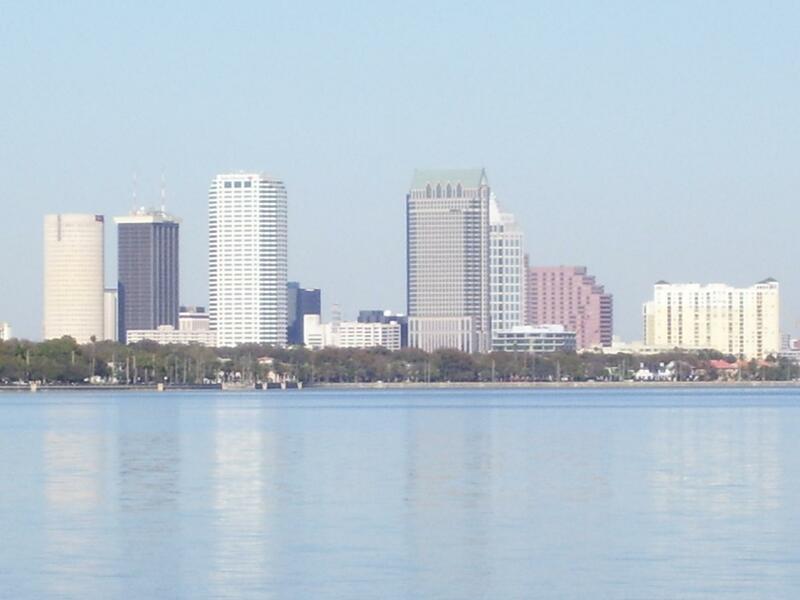 I am writing today from the beautiful Tampa Bay area. This was last night’s sunset on Siesta Keys. A chance encounter or divine appointment? You be the Judge. Yesterday morning I woke up on my day off. Not sure how I wanted to spend it, I went ahead and delivered some baptismal robes to a nearby church, who needed them for Sabbath. When I stopped by my church to pick them up, my pastor reminded me it was my day off, and I should not be working. I promised him I would take the day off as soon as I delivered the robes. My friend Adam, who I often hang out with on Thursday nights, told me he would be busy, so I thought this may be a good time to take a long day trip somewhere. 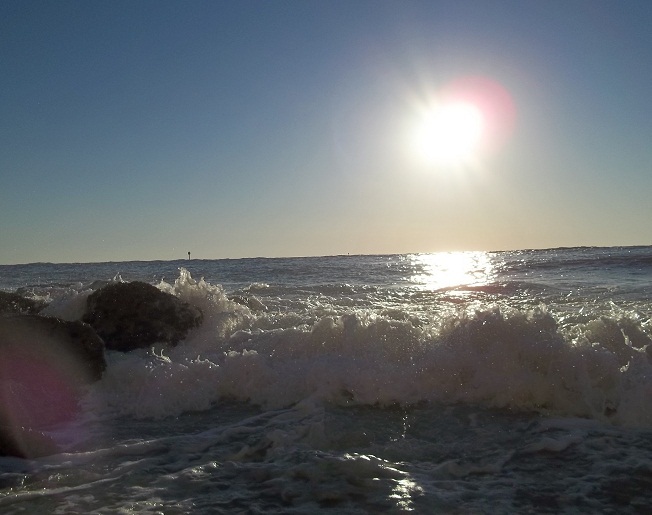 I thought about St. Augustine, and a couple other places, but decided on Siesta Keys in Sarasota where I have not been in a while. 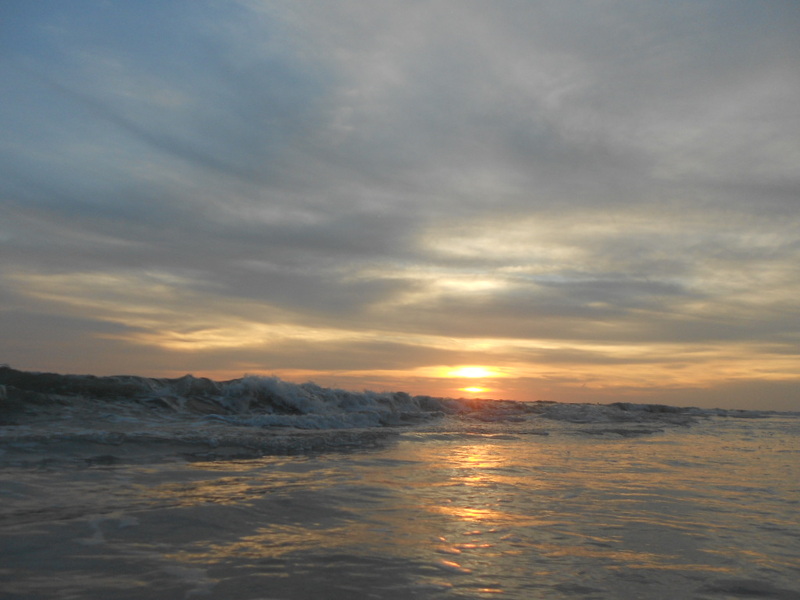 My plan was to spend some time reading in God’s Word, prayer time, and sunset pictures. As I got ready to leave home, something told me to take my Bible. I thought I don’t need to take that along, I have it on my cell phone. Still something said, no, take a regular Bible. So I did. I also grabbed the book “Bible Studies Made Easy” and thought maybe I will give it to the waitress wherever I eat. I got to Siesta Keys early afternoon and went to an Italian place near the beach, that I have enjoyed many times before. After I left, I scolded myself for forgetting to give the waitress the book. I stopped at a park bench near the beach and spent some time reading, as I am now in Revelations, after reading through the entire Bible. 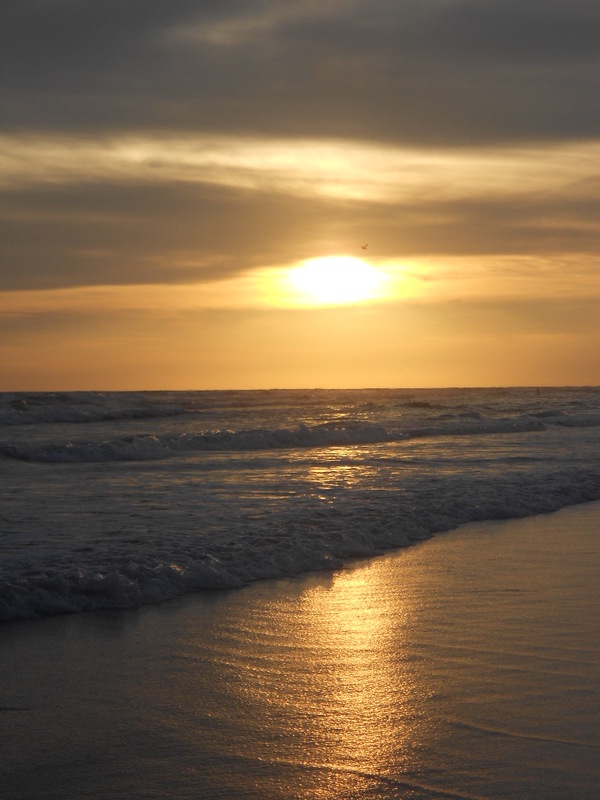 I read Chapters 8-12, which gave me plenty to pray and mediate on, as I walked and prayed down the beach. I must have walked 4 miles. As I got back to my starting point, where I had parked, I felt very tired, and reminded myself that the Tampa Bay Rays had a divisional game tonight on TV. Maybe I should go home and watch it. Something said to stay and take sunset pictures as I had planned. I told myself, I already have hundreds of sunset pictures, and nobody really cares to see anymore. They all look the same. Still something inside me said, just stay with the original plan. Lay down on this park bench and rest a while, until the sun starts setting, then take pictures. As I’m lying there, an older man comes up and starts talking to me. I turn to him, and he then realizes I am not who he thought I was. He became embarrassed and apologized. I told him it was no big deal. I sat up and he started talking to me. First he talked about his bicycle. I told him I hope the streets in Sarasota are more bike friendly than Tampa. He told me his bike was all he had to get around on. I told him I am often on my bike too. I wanted to identify with him the best I could. He glanced at my Bible and asked if I was a pastor. I could have said yes, since I am both a lay pastor and Bible Worker, but that really had nothing to do with why I had my Bible with me. I had my Bible with me because I am a Christian. I replied, “I am a Christian.” He then started opening up about his service in Vietnam, and his discharge. All the terrible things he saw over there, and he was specific. I know a lot of people claim to be vets, but a lot of people really are vets too. He told me how he has given up trying to overcome beer and cigars. I told him the same God who delivered him from Vietnam could also deliver him from those enemies too. He told me how when he returned nobody thanked him for fighting for his country. He told me how he likes to take trash bags and clean up the beach. I asked him if the beach could clean itself up. Of course he said no. I told him likewise, we can’t clean ourselves up either. Only God can. He was troubled, thinking God had given up on him, so I shared with him the gospel presentation. I shared with him the story of the serpent on the pole in Numbers 21 and how in John 3, Jesus says, “And as Moses lifted up the serpent in the wilderness, even so must the Son of man be lifted up: That whosoever believeth in him should not perish, but have eternal life.” He said there was so much about life he did not understand. I told him he did not have to understand. Just as the Israelites looked at the pole when bitten by a serpent, likewise when that old serpent the devil bites you, just look at the cross and you will be healed. He told me his name was Frank, and asked for prayer and I prayed with him. He took my hand and as I prayed his hand trembled as he cried. After our prayer I remembered the Bible study book I had failed to give the waitress. I gave it to him with my church contact info. I invited him to a church in his area. He told me he was homeless and had no address. He told me he likes it that way. I made sure he knew how to get a hold of me. I assured him God still loves him and has a plan for his life. God has not given up. He told me how glad he was that he met me. I felt he was sincere. He never asked me for money or anything. He even offered to pay for the book. I think the only things he wanted from me was hope. As we talked, and he rambled after our prayer, I started thinking, if Adam was not busy tonight I would have been hanging out with him instead. If I had not brought my Bible this man never would have asked or opened up about His need for Christ. If I had given the waitress my study book I would have had nothing to give this man. If I had gone back home to watch the baseball game, which I really felt like doing, I would not have been resting on this park bench when the man found me. And seriously, I had no clue why I was just resting on a park bench instead of driving on home to see the game, until now. I also smiled as I remembered my pastor telling me to take the day off. Seems like when I woke up this morning, wondering what to do, God already had a plan. This morning was a special day at the Tampa First Seventh-day Adventist Church. Not because it was St. Patrick’s day, but because we welcomed another saint into the body of Christ. 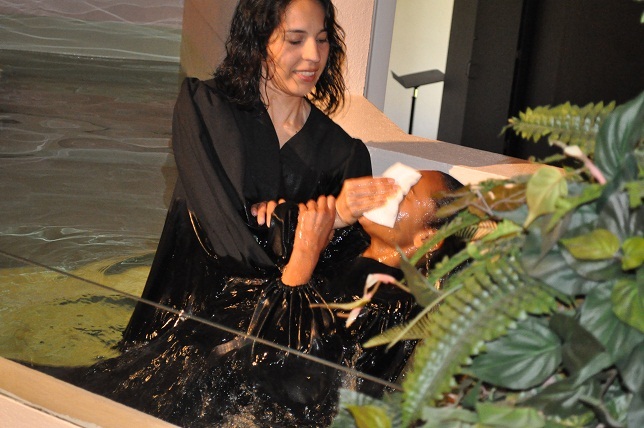 Ciera gave her life to Jesus today by being baptized, because Jesus gave His life for her. Please enjoy the pictures. Ciera has been looking forward to this day for a long time. 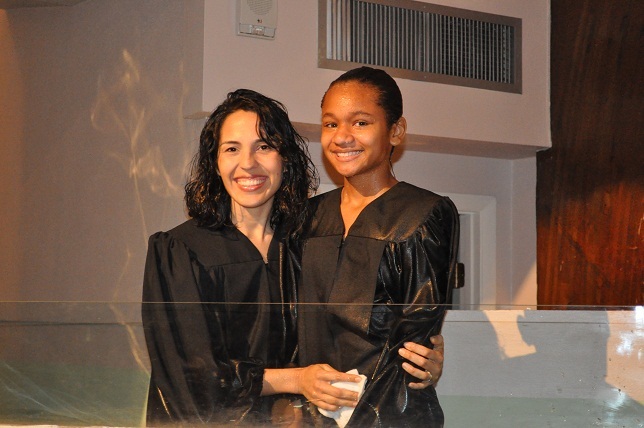 Over the years, at Tampa Adventist Academy, she has been in several of my baptism classes. In addition to baptism classes, she is also pictured here in my Bible marking-chain referencing class that I hold at TAA. She is learning to share Jesus with others. The other day in class I did some role playing, and pretended I did not believe in the Sabbath. Cieria quickly found Bible verses to let me know the Sabbath, and the rest we find in God’s grace is still very much in effect. 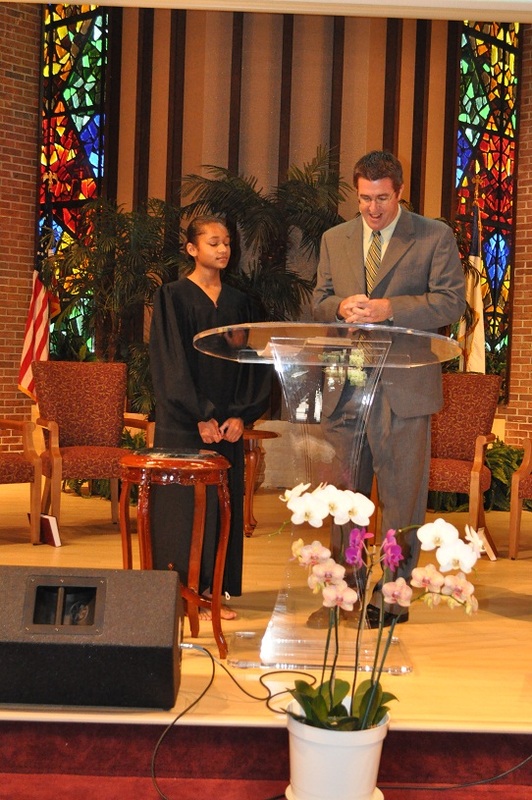 This morning, Pastor Brad Cassell, went over the baptism vows with Ciera before the congregation. The smile on Ciera’s face shows she has been looking forward to and preparing for this day for a long time. 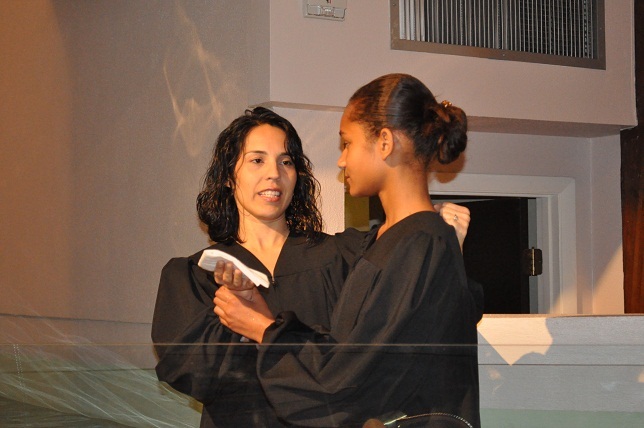 Even though Ciera’s family are members of another Adventist church in the area, Ciera chose to be baptized at Tampa First Seventh-day Adventist Church by Pastor Claudette Aleman. We are glad Ciera chose Tampa First, and consider her family a big part of the Tampa First family. 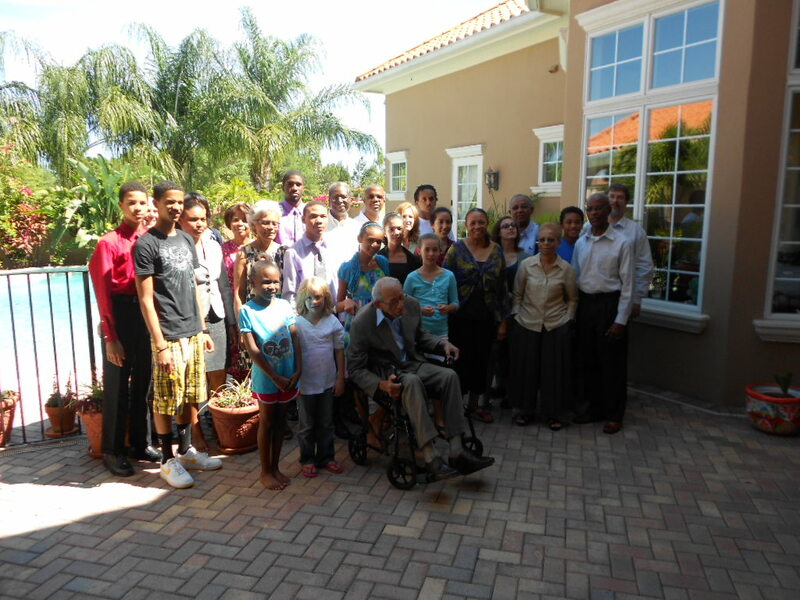 All the area Tampa Bay area Adventist churches are just one big happy family! For if we have been united with him in a death like his, we will certainly also be united with him in a resurrection like his. Romans 6:5 That new life sure puts a smile on your face, doesn’t it! Ciera and her family had several family and friends over for lunch today to help celebrate! After a long day of celebration, worship and fellowship, we closed out the Sabbath together with some songs and a devotional thought from the Bible.